yourbarfactory allows you to create your own customized bars. Since 2001, we assist our customers in the whole process of creation and production. Your dedicated Project Manager will guide you through every step, from first contact to final delivery. Depending on the complexity of your request, it can take between 4 and 6 months for your bars to be marketed. 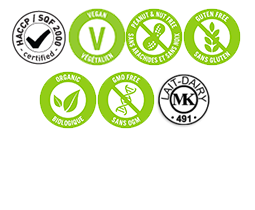 Our factory is certified peanut-free, nut-free and gluten-free. Many other claims are also available depending on your needs. Discover our catalogue of bars ! No matter the type of bars you require to develop, we can help you with your project. 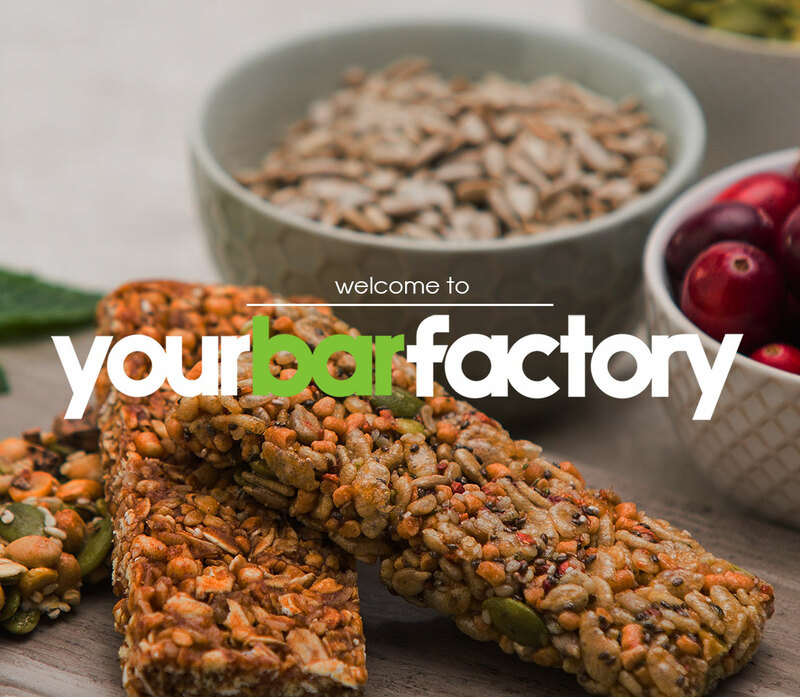 Yourbarfactory is a Canadian based company specializing in the creation and manufacturing of customized bars for both private label and co-packing requirements. Create your own bar ! Our R&D team will work with you to create the allergen-free bar that will completely meet your specifications and satisfy your customers. 50% of our sales are generated outside Canada and our international activity is growing strongly. Companies from 5 continents are currently purchasing bars from us. First, we bring all the liquid elements of our formulation to a boil. Next, we mix it with the solid ingredients. This blend is then sent to our production line where the bars are shaped, cut and packaged. If your bar is similar to one of our existing formulation, you can launch your product on the market within 4 months.